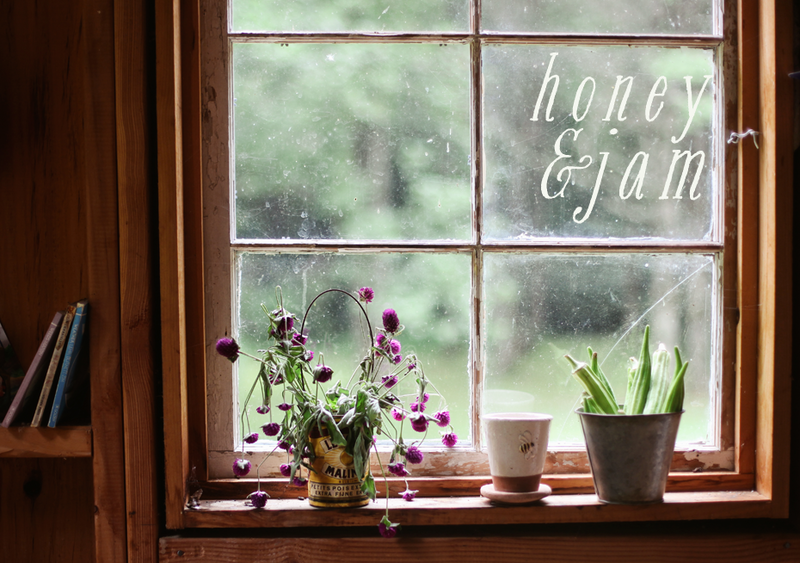 honey & jam | recipes + photos: zucchini bread: part two. You know back when I posted the zucchini cheddar bread I said I didn’t like sweet zucchini bread? Well I’ve changed my mind. Last Saturday a guy at the farmers market gave me a whole bunch of free zucchini. Like, 8-ish. That’s a lot of zucchini. So I figured the best way to use it was try some new bread recipes, see if I could find one I could use for the farmers market. And since most people seem to prefer sweet zucchini bread, I gave in and tried it. I was preparing myself to hate it. Which is stupid because I haven’t even had any in years. But I was sure I was going to have to spit it out. I’d built it up in my head, kind of like getting a shot at the doctor (I realize I’m crazy. haha). But it was delicious! So moist, and not crazy, overpoweringly sweet. Kind of dense, but in the best way possible. And is was so, so easy to put together. Plus, it’s gorgeous. Dark brown and kind of rustic looking. I’m so glad I tried it again, it was so worth it. You should try it too! Stir together the flour, cinnamon, baking powder, baking soda, and salt. In a large bowl or electric mixer beat the eggs well. Add the oil, brown sugar, zucchini, and vanilla. Mix well. Lightly stir in the flour mixture. Add raisins and nuts, if using. Pour batter into a greased and floured 9 x 5 inch loaf pan. Bake at 325 for 45 minutes, or until a toothpick inserted in the middle comes out clean. i like! if the zucchini plant blooming like crazy in my pathetic garden ever fruits, this will be on the list of things to make. Dark brown and kind of rustic... perfectly describes my memories of my mom's zucchini bread. Calling her now to get her recipe... thanks for the inspiration! If only I could reach through my screen and grab a slice of yours to tide me through the afternoon. 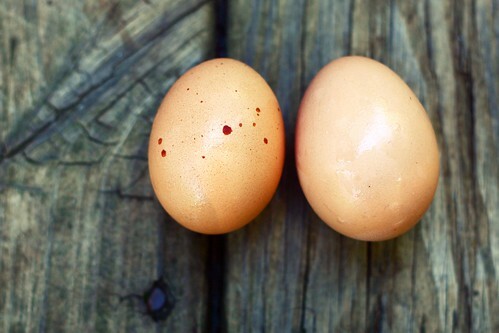 ooo, I love the speckled eggs! The bread looks yummy too. 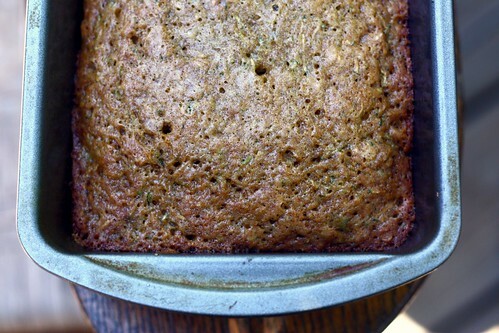 OH my gosh, have you ever tried chocolate zucchini bread? I remember being SHOCKED that there was a vegetable involved because it was so amazing good. 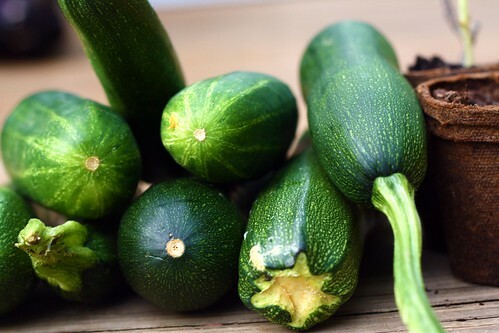 your pictures are always lovely, but that first one of the zucchini is especially gorgeous! Thanks for another inspiring post, as always! 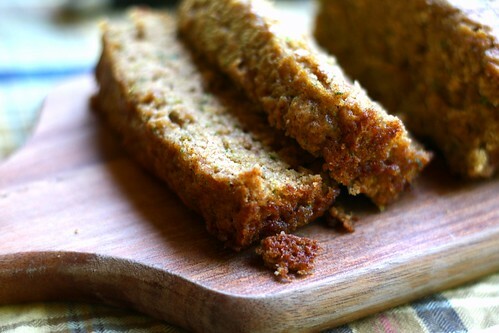 Zucchini bread is one of my favorite ways to use the abundant vegetable. 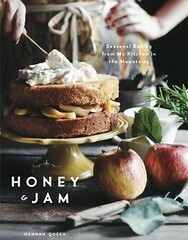 This recipe looks similar to what I make- can't wait to try it! I was brought to your blog by a friend of mine and I just wanted you to know how wonderful your site is. I take notice of all your posts and am inspired to try many of your suggested recipes! I made this twice and it was totallt gooo in the middle. My toothpick seemed good too. I ate the edges and the were delish! 3. it didn't really have a strong zucchini flavor. 1. I mixed the flour in too thoroughly? 2. I should've used dark brown sugar instead of light brown, as I did? or mixed some white sugar in? 3. put in another quarter to half cup of zucchini? I'm planning on making this again soon and would love to hear what you think might've went wrong. Thanks. Hi Anon! I'm sorry this didn't work out for you. I don't remember it being dry at all! It is possible you mixed the batter too much. It doesn't really matter what kind of brown sugar you used, this bread just isn't very sweet. If you want it sweeter, just up the sugar a little, maybe to 2 cups? So: stir less, add more sugar & zucchini, bake for a shorter time. Sometimes you have to change recipes to your liking. I hope that helps! I just made this today. It was my first time having zucchini period, let alone the bread, and it was amazing! Thanks so much for posting this, it'll be my breakfast for the rest of the week. also, that egg photo is beautiful =). I love the deep woodsiness of the background against the cheery eggs. Does it always take you around 45 minutes? I love this recipe and I make it all the time, but it's always closer to an hour and a half (with that extra time, it's still very moist but cooked thoroughly - when I took it out at around an hour it had parts that were "too moist"...probably just not cooked hehe). I've tried this on two different ovens with the same issue and was just wondering if you get that too. Thanks!! 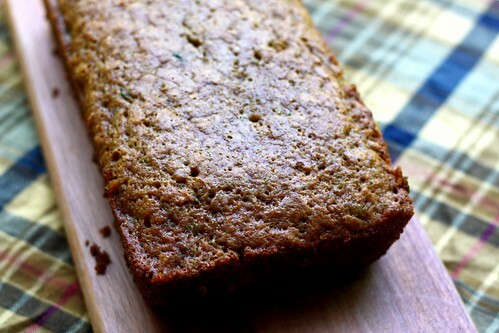 I lost my zucchini bread recipe years ago, and have been on the search for the perfect recipe ever since. I hate to say it, but this is as far from perfect as a recipe can get. After an hour, the bread was still completely liquid inside, and had overflowed all over the inside of my oven. When it finally was "done" at twice the recommended cook time, it was the ugliest thing I had ever seen, and didn't taste all that great. Very disappointing - the search continues.